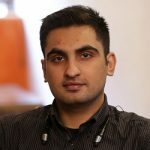 Founder of CampusFeed, Qasim Asad might just be the next Mark Zuckerberg in the making! With his social app having mind-blowing user engagement statistics, he has already launched across five campuses in Pakistan within one year. From developing his first website at the modest age of 11 years, Qasim was always destined to acquire the technological prowess that he has earned today. 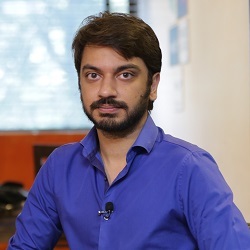 Even though he belonged to a family of businessmen, he managed to meet his own expenses by developing websites for numerous local and international clients until his graduation from LUMS in 2016. Being one of those students who didn’t reside on the campus, he noticed a lack of regular updates about campus life for them and was always inclined towards proactively solving this issue. 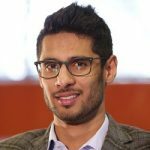 Qasim’s primary motive behind creation of CampusFeed was to build an app that would be able to build an anonymous social network for student campuses where people could freely express their ideas. After getting incubated in Plan9, Qasim launched the app in November 2016 within the LUMS campus and in just two days, it received over 600 downloads. From then on, CampusFeed has been successfully launched in FAST, LSE, BNU, IBA and COMSATS. And the most remarkable fact of them all is that CampusFeed enjoys better user engagement than Facebook itself during university peak hours! CampusFeed is turning into one of the most success social networking platforms to have been formed inside Pakistan which has earned local and international recognition as well. On a global level, CampusFeed finished in the Top 50 of Startup Istanbul! Most recently in 2017, they have finished third in both Startup Weekend, Lahore and Momentum, Karachi. CampusFeed has now amassed more than 5500 active users and has had more than 7000 downloads ever since its launch. But the dream is not over yet for Qasim! CampusFeed is just getting started for him. In the coming years, he plans to launch it in the Top 50 educational campuses in Pakistan that has a population of at least 3000 students each. In addition to this, he is currently working with top multinational brands like CocaCola etc. and is looking forward to launch it globally to make the whole Pakistan proud one day.